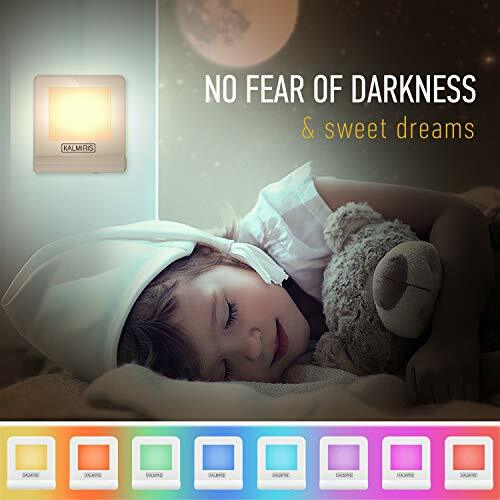 SAFE & RELIABLE: UL certified & made from high quality materials that deliver up to 20.0000 hours of continuous operation, our plug in is a top choice boys and girls night light for toddler kids. 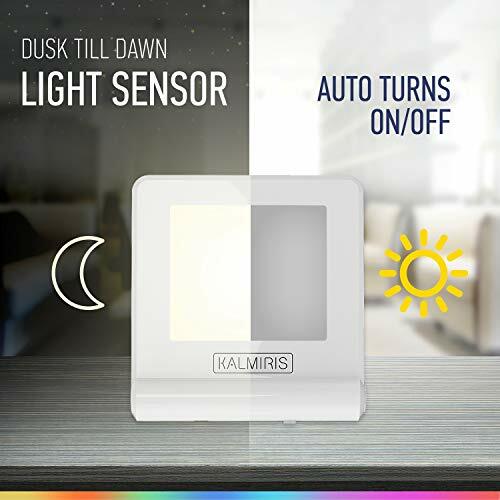 ACCURATE DUSK TO DAWN SENSOR: Upgraded with a built-in sensor that mimics effects of natural sunlight, these are the best plug in night lights for children, kids and adults. Fall asleep & awaken to a soft glow. 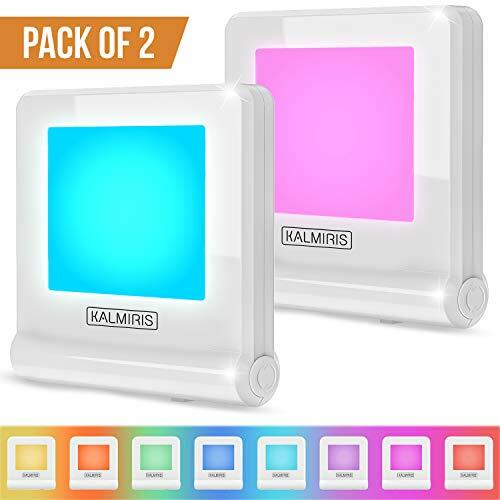 COLOR CHANGING LED NIGHT LIGHT: (8 colors and warm white mode) Two different modes vary in brightness (warm = 10 lumens, colored = 5 lumens) Travel LED night light with sensor doesn't irritate the eyes! 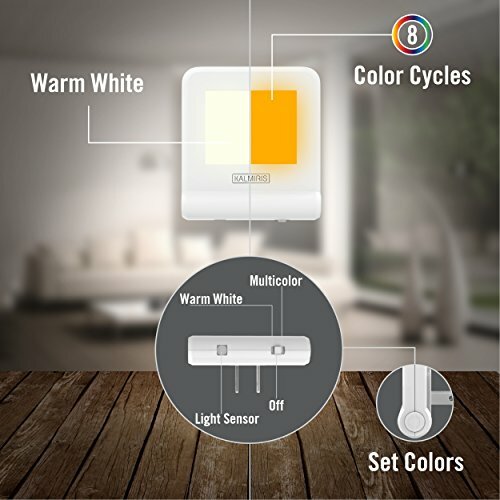 ENERGY EFFICIENT PLUG IN NIGHT LIGHT: Lower power consumption (0.5 W) provides peace of mind. 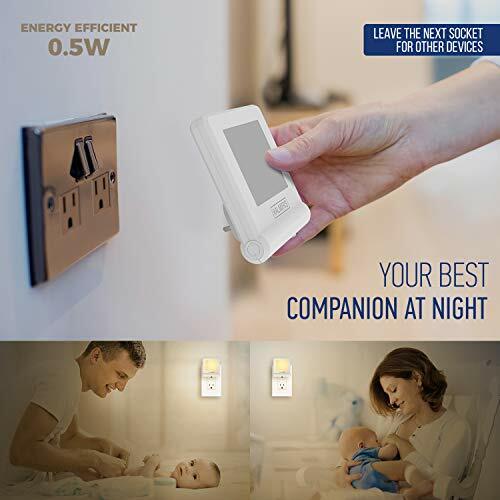 #1 night light for child and baby. 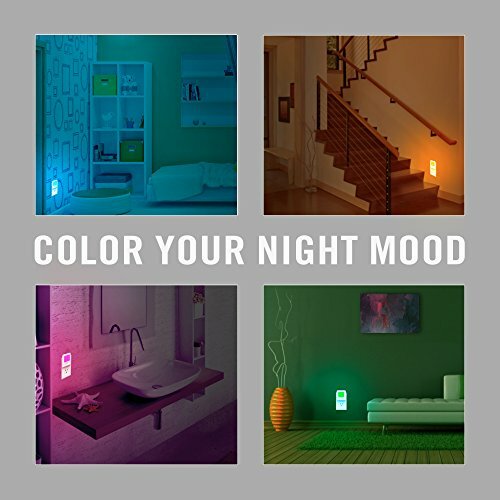 Place plug in nursery, playroom, napping room or kid's bedroom. 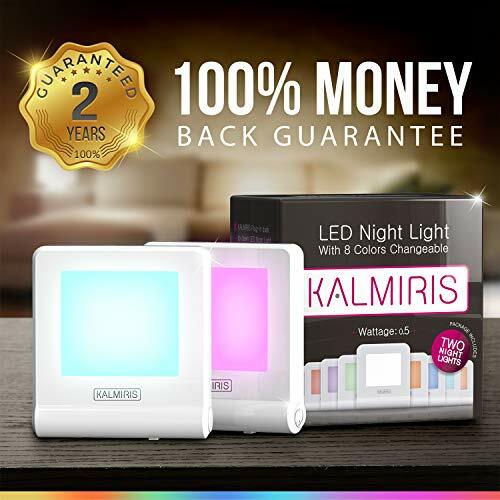 NICE GIFT FOR ANY OCCASION: The Kalmiris nite light plug in makes the perfect present for any occasion. 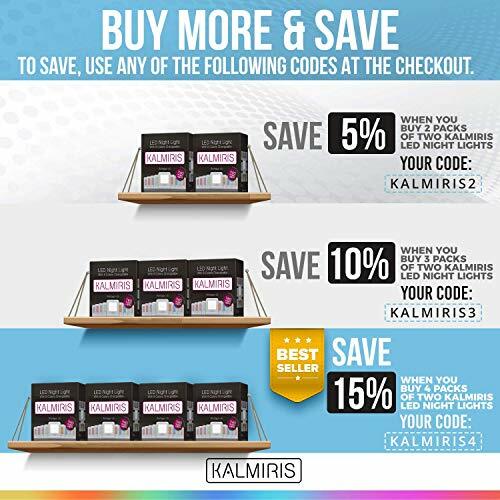 Brand new, ultra slim and professionally packaged, give as housewarming gift or baby shower gift.